Dehydration – You Asked It! Wash and pit pie cherries. Heat 2 cups of cherries and 1/2 cup of sugar until the liquid boils for 1 minute. (Cherry-sugar mixture will form own juice.) With a slotted spoon, transfer cherries to a dehydrator. Dry at 140-150°F until moisture decreases to 80% solids. Cherries will be firm and rubbery to the touch. For best results, base the drying on the final solids content of 80%. Freeze or vacuum package to avoid mold growth. Weigh a container for fresh and dried cherries on a scale. Note weight. Add fresh cherries to the container. Weigh. Subtract container weight. Calculate desired final weight. 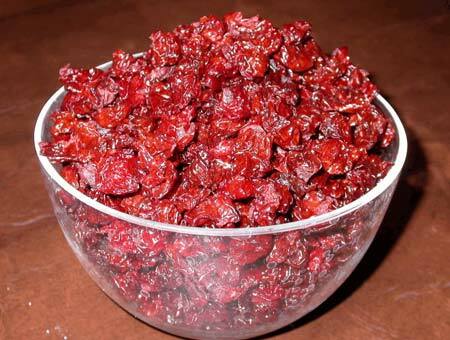 (Fresh cherry weight) times (.175) = desired weight of dried cherries. Add calculated desired final weight (#3 above) and weight of container (#1). 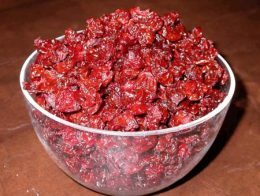 When dried cherries reach this point, they are ready. As fall hunting season approaches, there are many ways to preserve the meat. One of those is dehydrating meat jerky. Optimum drying temperature is 140°F. But, meat must be heated to 160°F to eliminate possible E. coli bacteria. Pick one of these methods for safe jerky. 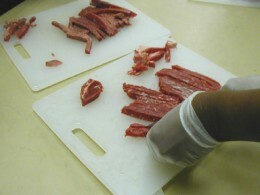 Prior to drying, heat the strips of meat in the marinade by boiling them for 5 minutes, drain, and pat dry. 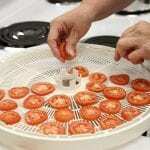 Proceed with dehydrating the meat. After dehydrating the meat, place the jerky on a baking sheet and put into a 275°F oven for 10 minutes. Boil the meat strips in the marinade prior to dehydrating for five minutes. 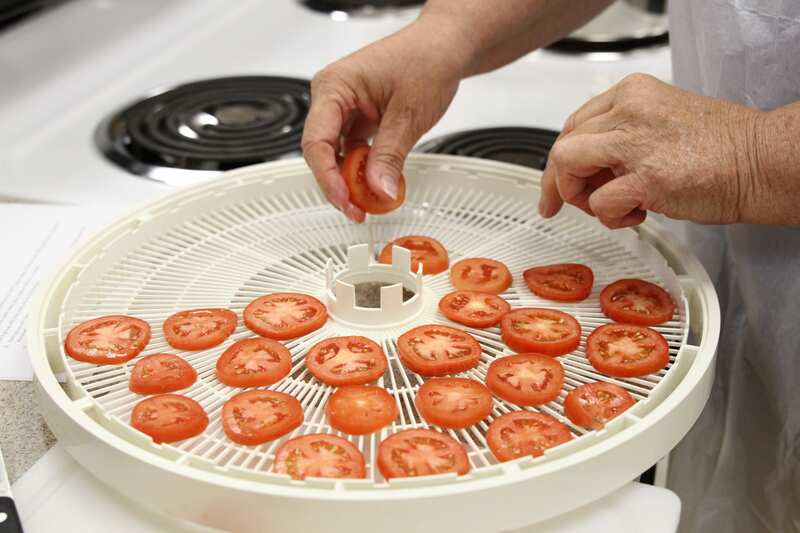 After dehydrating, place the jerky on a cookie sheet and place in a preheated oven at 275°F for 10 minutes.